The cornea is the clear window that covers the colored part of the eye. If the cornea is not clear, vision will be blurred. The inner layer of the cornea is made of a single layer of cells that do not regenerate. If this layer wears out or is damaged, the cornea will become cloudy and swollen, resulting in poor vision. Fuchs’ dystrophy is a condition causing corneal swelling that develops slowly over many years. Sometimes, the cornea becomes swollen after cataract or glaucoma surgery. In many cases, a corneal transplant can treat these conditions. In the past, a traditional corneal transplant, also called a Penetrating Keratoplasty (PKP), treated the cornea by removing the entire thickness of the cornea. 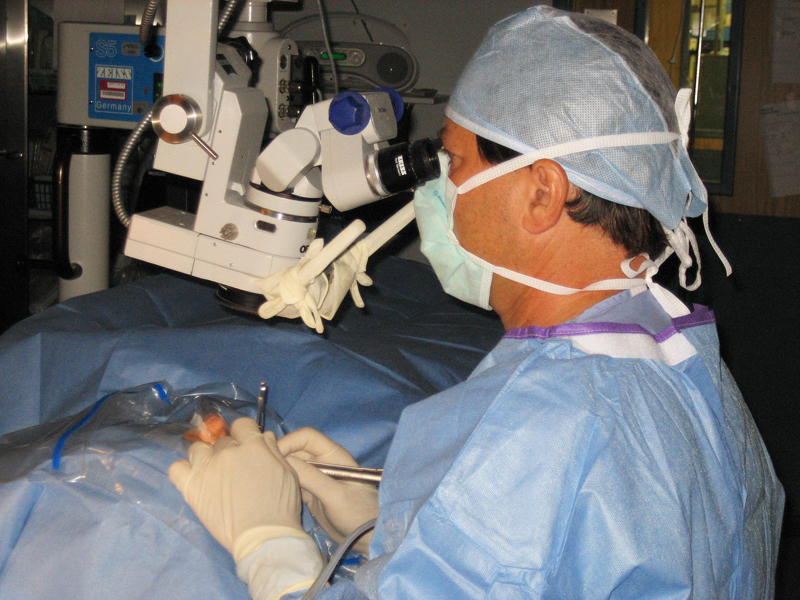 More recently, surgical techniques such as Descemet’s Stripping Endothelial Keratoplasty (DSEK) were developed to selectively remove and replace the diseased inner layer of the cornea, leaving other layers intact. Click here to learn more about corneal transplantation.